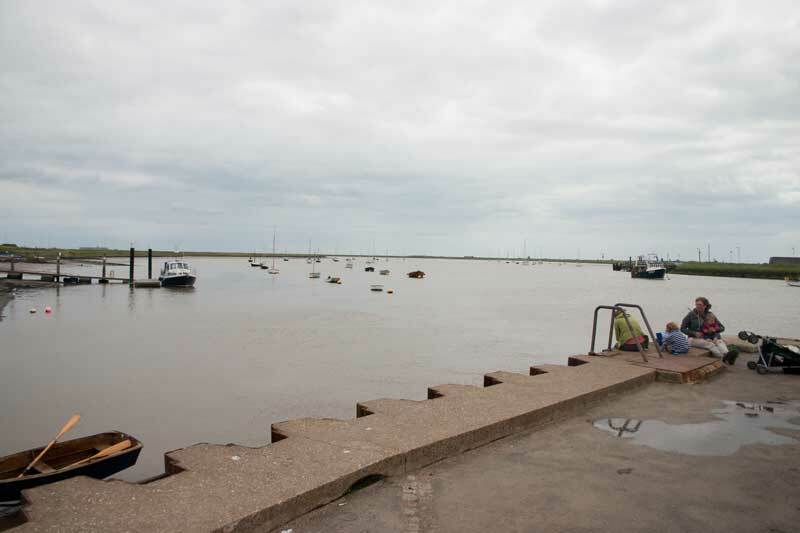 This page has photos of Orford, Aldeburgh, Southwold and Lowestoft on the coast of Suffolk. 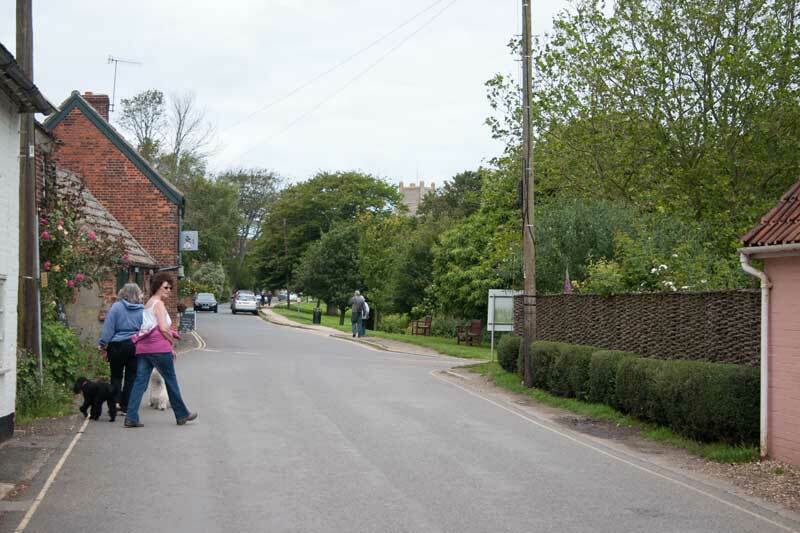 Orford is a pretty little village actually on the River Alde which is separated from the North Sea by Orford Ness, a long sand and shingle bank. 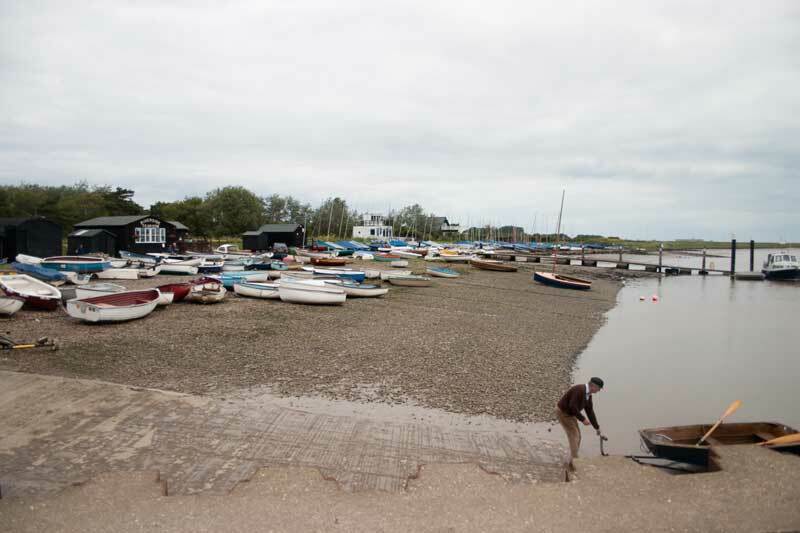 The river forms a natural harbour obviously popular with dinghy sailors going by the photo above which is looking north towards Aldeburgh. 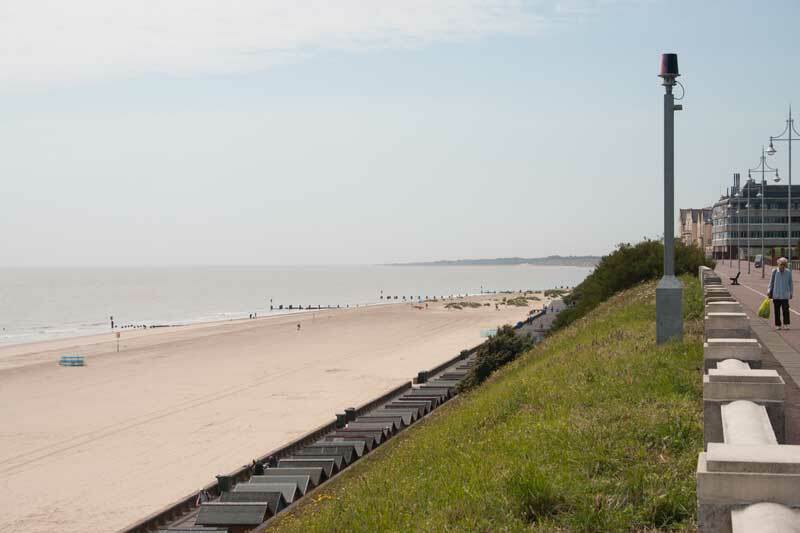 The view looking south towards the sea. 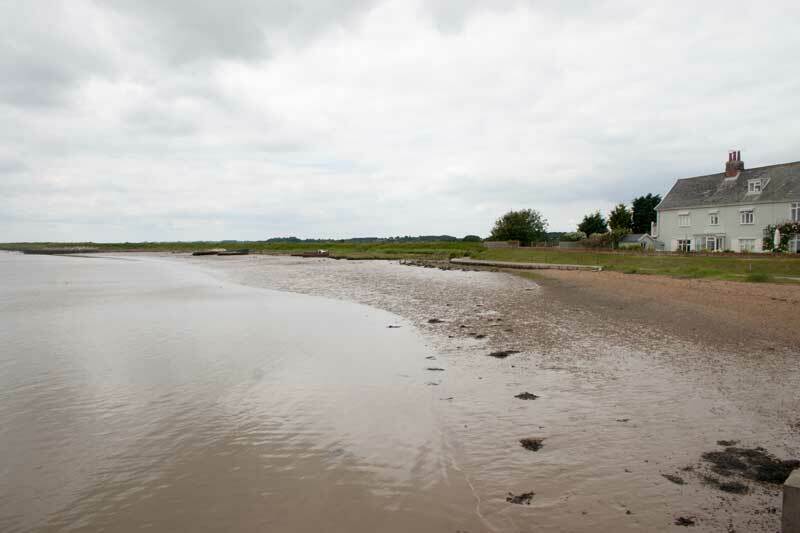 Another view looking south showing the flatness of the land along this part of the coast. Looking inland towards the village with the church tower glimpsed above the trees. A 17th. 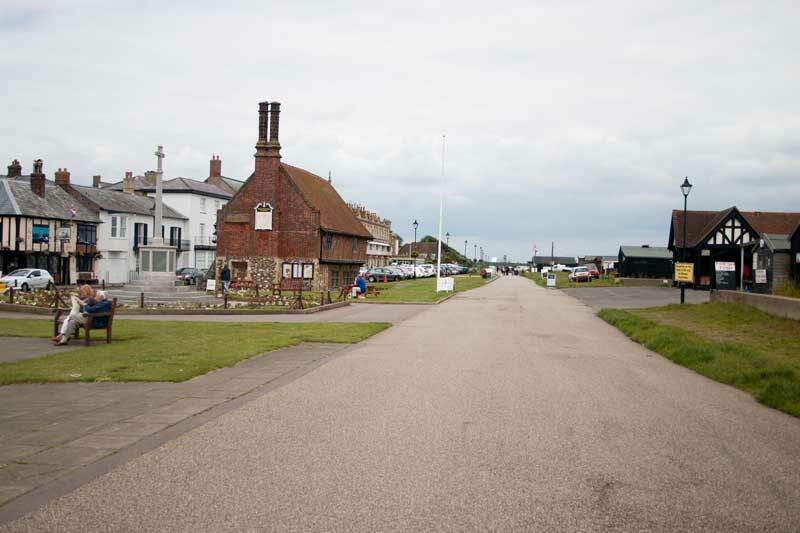 century building, Aldeburgh Moot Hall, by the "prom" on Aldeburgh sea front. 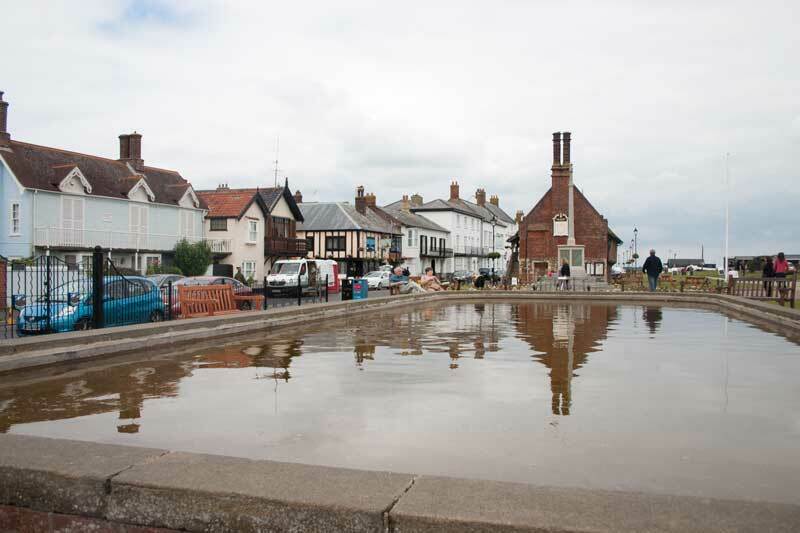 The model yacht pool next to the prom and several old buildings along the street. 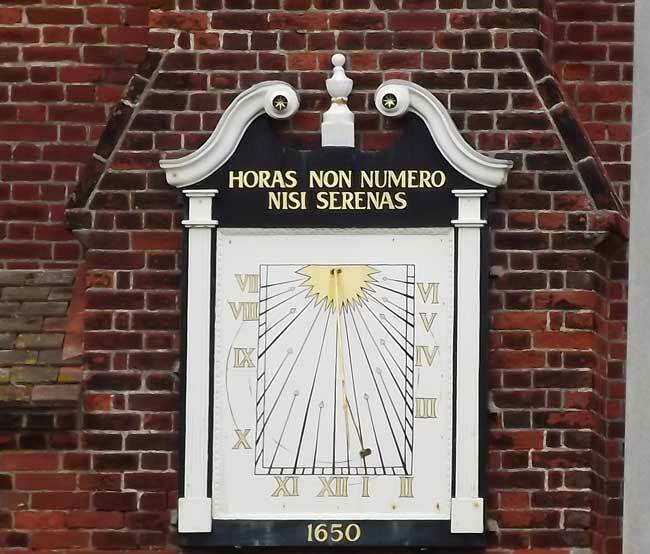 The Latin motto on the sundial on the Moot Hall seen above translates as "I don't count the hours unless they're tranquil". 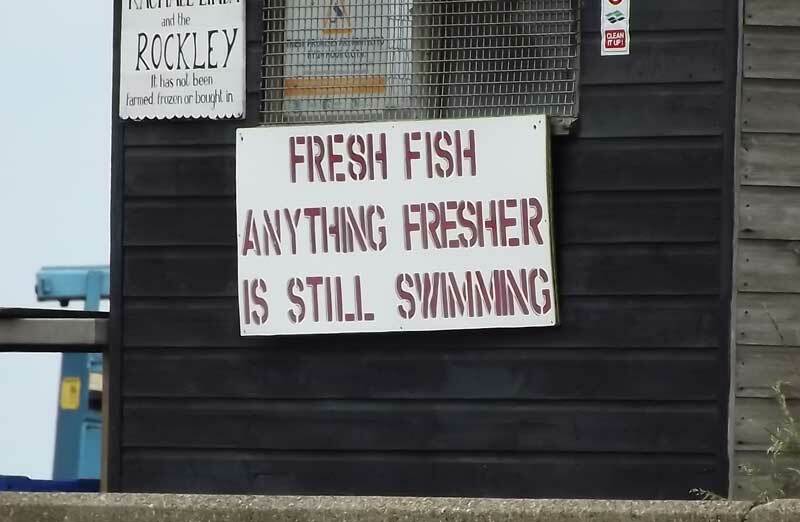 A more modern motto on a beachside fishmongers stall! 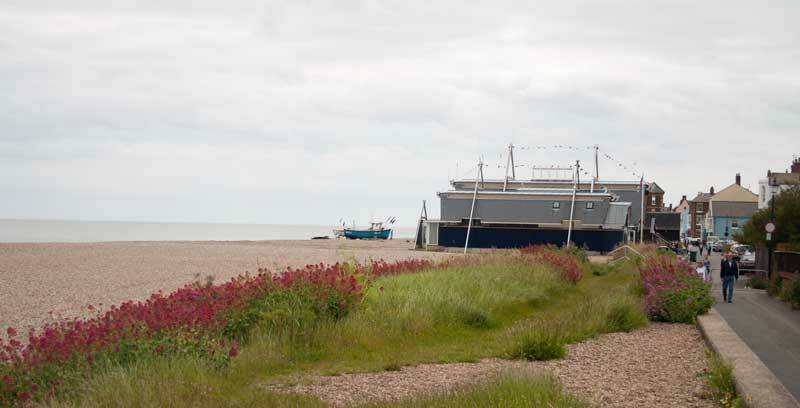 The lifeboat station, the Mersey Class lifeboat is launched across the beach. 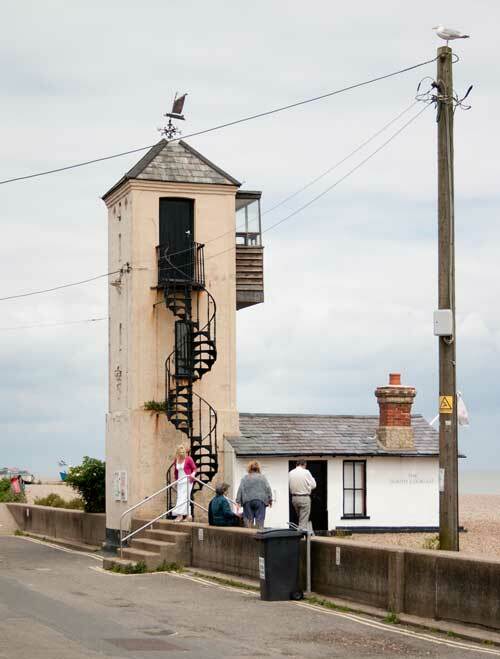 just by it you can make out the North Lookout Tower. 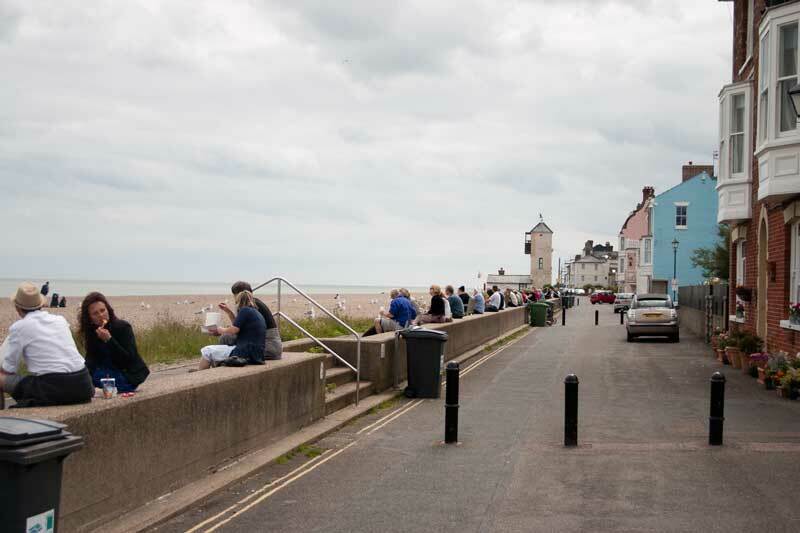 Aldeburgh's fish and chip shops have a high reputation and they certainly looked popular when I was there. Note though how the people enjoying their meals are being closely watched by the gulls who are poised ready for any scraps! 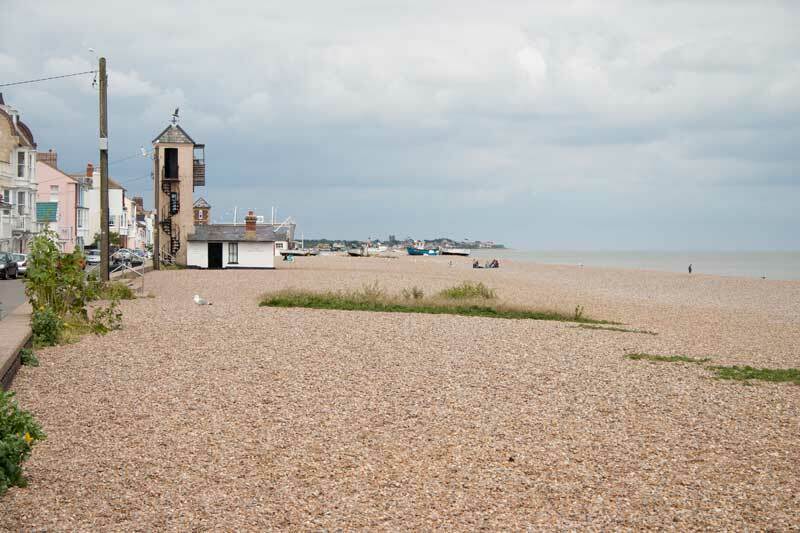 At the south end of the seafront is Aldeburgh Old Mill which once ground flour for the town. 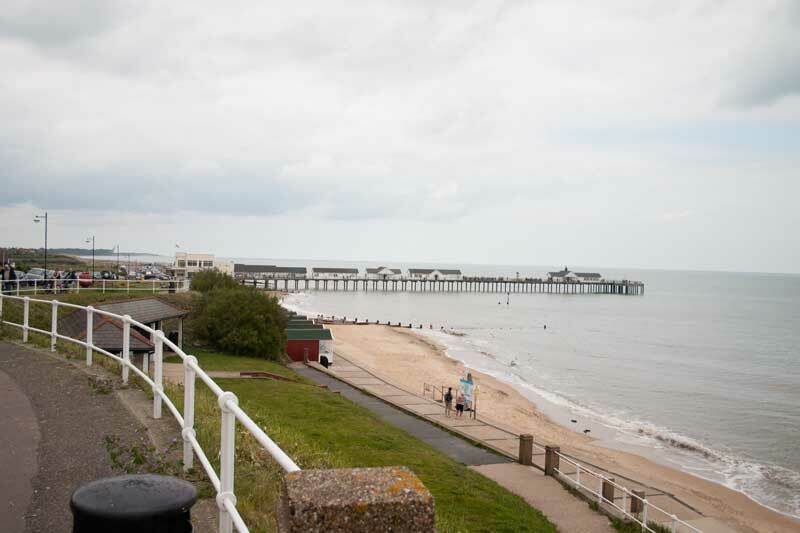 Southwold has that essential for a traditional British seaside resort - a pier! 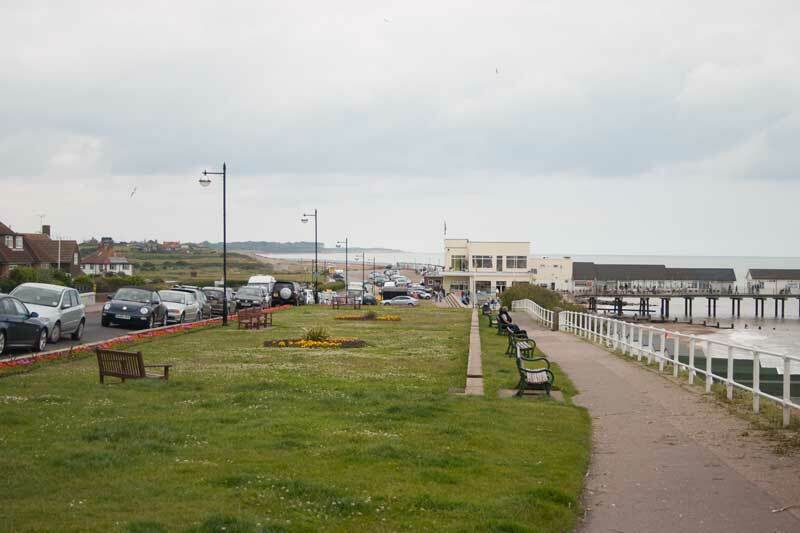 The view along the green beside North Parade to the pier and the coast north of Southwold. 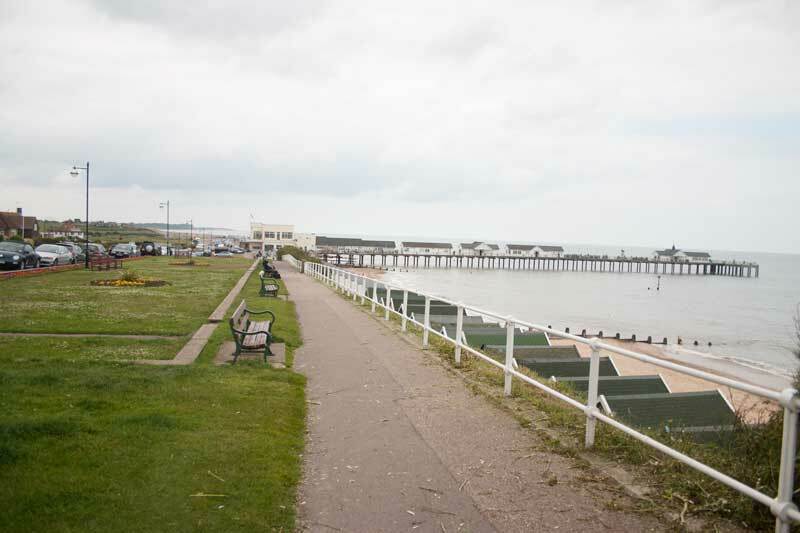 Another view of the pier and green. 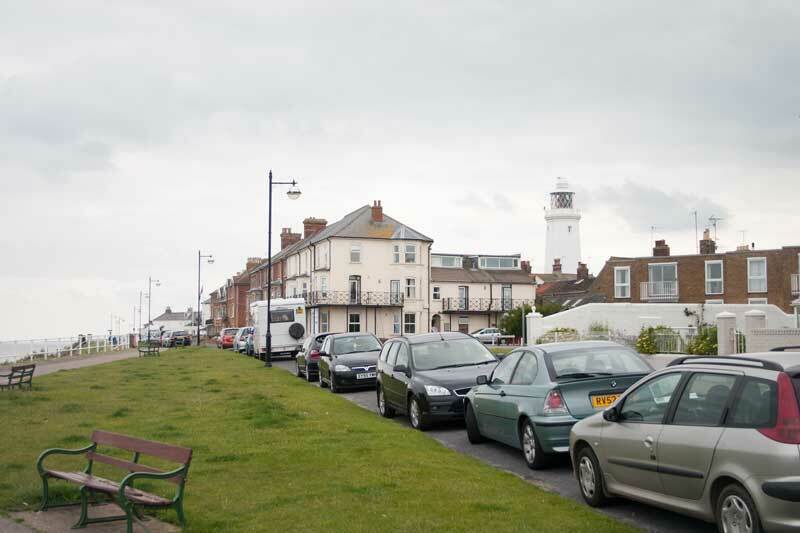 Southwold lighthouse is slightly inland amongst the houses, an unusual sight! 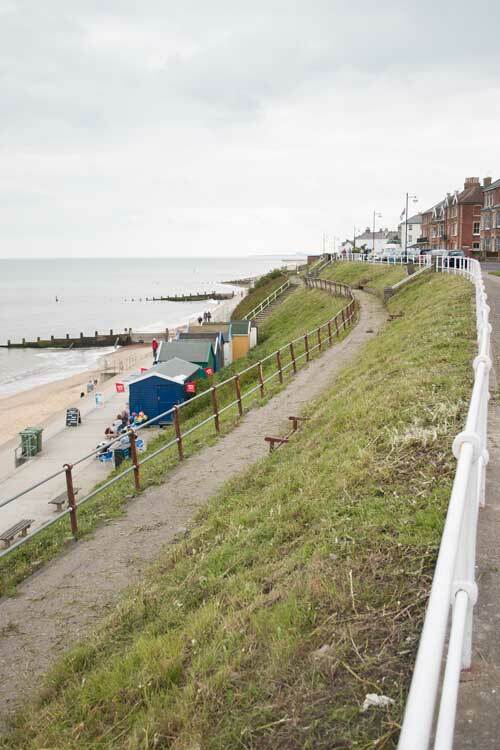 There are paths down the cliff to the beach - which has that great tradition, beach huts. 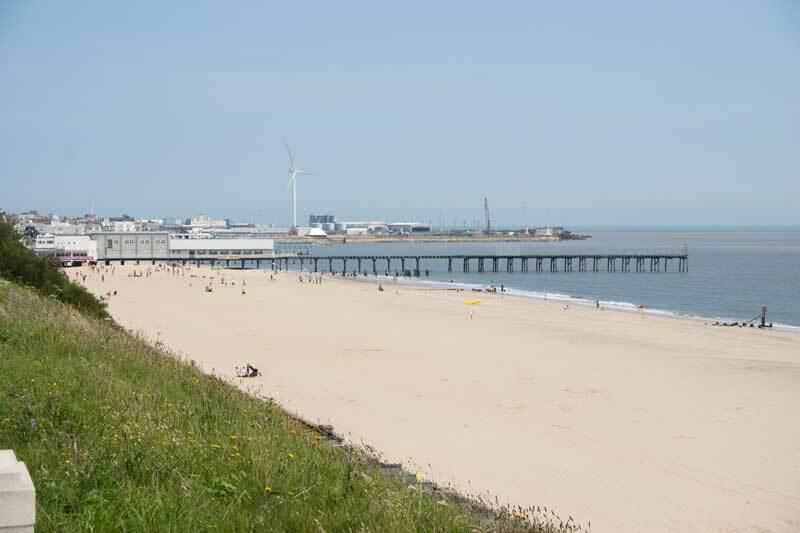 Two views of the South Beach at Lowestoft.